While “FullVision” designs are certainly easier to come by at a wider range of price points right now than, say, a year or two ago, it’s still hard to find good-looking phones with immersive 2:1 screens and narrow bezels at around 150 bucks stateside. Originally released with a somewhat excessive $300 price tag attached to its name back in the summer of 2017, the LG Q6 is available for a limited time for a whopping 47 percent off. That means you’ll be paying just $159.99 for this handsome GSM unlocked handset if you visit NeweggFlash by January 23. Unless the flash sale-focused e-tailer runs out of heavily discounted inventory earlier, that is, which could always happen. After all, at the time of this writing, nearly 1400 people are viewing the deal, many of which may well end up pulling the trigger after considering the phone’s pros and cons. The latter category far outweighed the strengths of the device back when we rigorously reviewed it, but that was in an entirely different price bracket. At $160, the LG Q6 arguably delivers respectable camera performance, battery life, and not-so-terrible processing power. Granted, it’s still disappointing to see the phone lack a standard fingerprint reader, while the face scanner was deemed largely useless by our own Victor Hristov. On the bright side of things, that 5.5-inch Full HD+ “FullVision” display remains a joy to behold, with a compact body made from metal and plastic that should work just fine for bargain hunters. 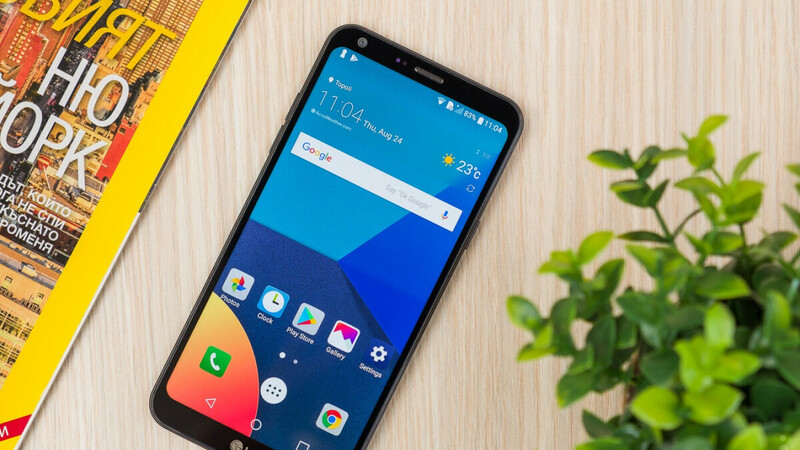 The LG Q6 also features a respectable 3GB RAM and 32GB internal storage space, supporting 4G LTE connectivity on carriers like AT&T and T-Mobile, and including a standard one-year warranty. While not exactly a Moto G6 slayer, the LG Q6 is slightly cheaper in an unlocked variant with no strings attached. Keep in mind that an Amazon Prime Exclusive version still costs $250, while Best Buy charges $170 for a Geek Squad certified refurbished model. Is actually SD435 for $160 is actually not bad you get a decent camera, 3gb of ram, good screen and a good size battery. What? For 190 you cam get mi a2, or redmi note 7, s660!